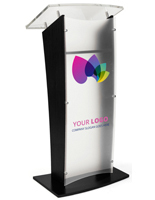 This LED podium with custom graphic is excellent for representing your company, church or school. 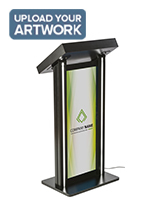 Each lectern comes with a full color personalized poster for placement in its light panel display. 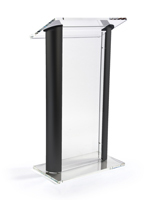 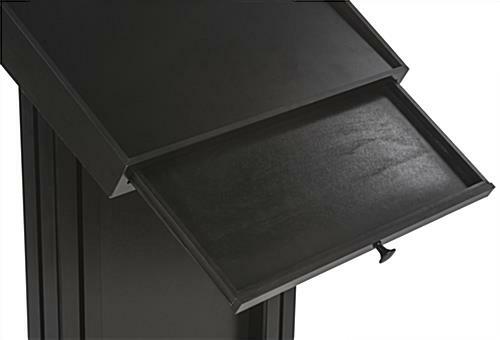 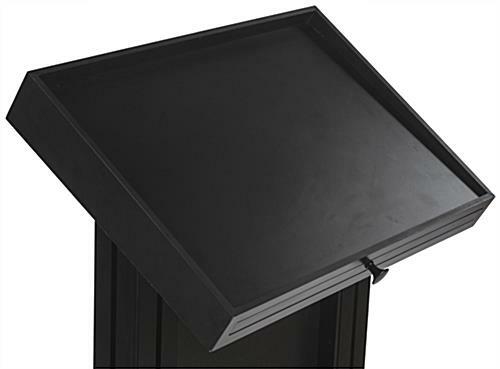 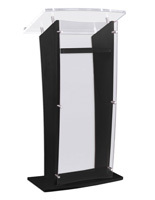 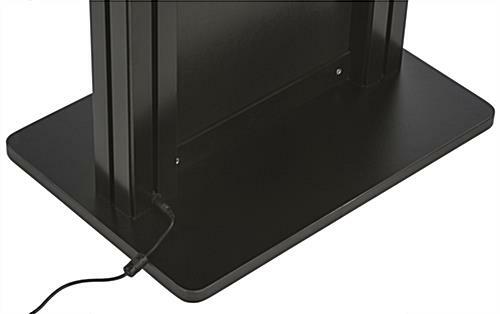 The LED podiums are made of strong MDF and aluminum with a sleek black finish. The lecterns are great for event exhibits because they also feature light strips that grab attention and build interest. 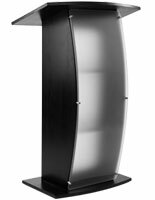 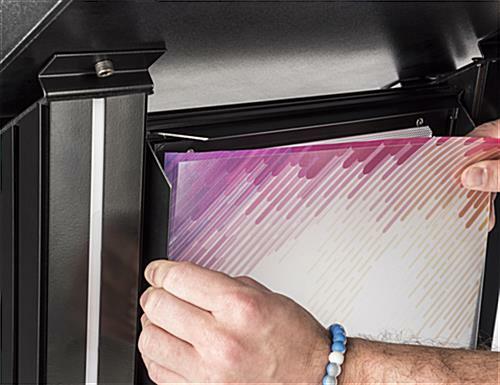 In addition, the podiums include a sliding drawer as well as an angled reading surface with a bookstop. 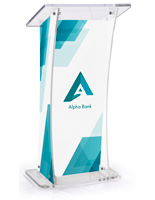 The exhibit displays' full color print is protected from damage with a clear PVC lens. 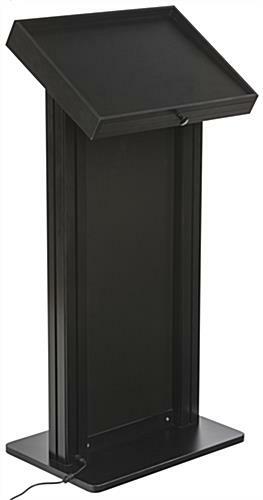 19.8" x 48.0" x 13.8"
19.8" x 1.0" x 13.8"
16.5" x 0.75" x 11.8"